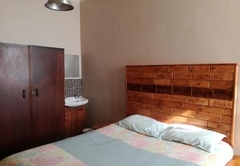 Carnival Court Backpackers is a property providing self catering in Cape Town Central for tourists visiting the City Bowl region. 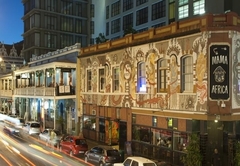 Carnival Court Backpackers offers comfy accommodation in Cape Town set over three floors in a grand building in the City Bowl. 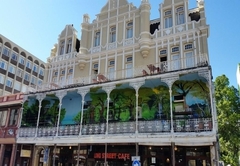 From here you are slap bang in the centre of Cape Town; close to top attractions, the business district, popular restaurants, bars and much more. 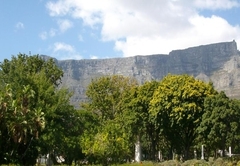 Beaches and major transport routes are within easy reach from this central location. 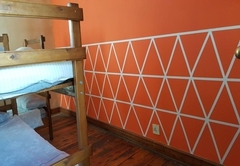 When making a booking for accommodation in Cape Town at Carnival Court Backpackers, you are booking one bed within a dormitory. This dorm sleeps four guests in two bunk beds. These are shared dorm rooms, each sleeping six guests in three bunk beds. 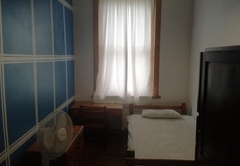 This single room is suitable for one person and has a shared bathroom. 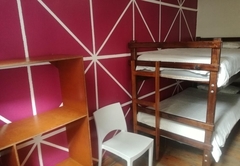 The twin rooms have bunk beds and are suitable for two people. 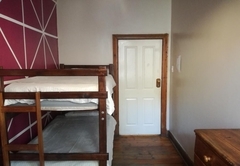 The double room is suitable for two people and has one double bed. This is a shared room with bunk beds. 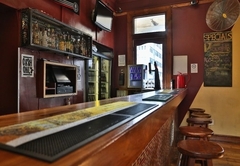 There is a fully equipped communal kitchen, guest lounge area with a pool table and a bar. Showers and toilets are communal and shared by all dorms. We are happy to assist with transfers. This is a shared room with bunk beds. Suitable for 4 people sharing with others. When booking one unit/room you are booking one bed within the dorm. This is a shared room with bunk beds. Suitable for 6 people sharing with others. When booking one unit/room you are booking one bed within the dorm. 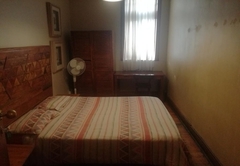 This single room is suitable for one person, and has a shared bathroom. 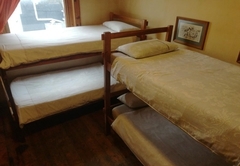 The twin room has bunk beds, and is suitable for two people. 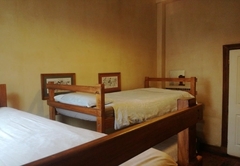 The double room is suitable for two people, and has one double bed. This is a shared room with bunk beds. When booking one unit/room you are booking one bed within the dorm. Response timeCarnival Court Backpackers typically responds to requests in 5-10 minutes. Child policyThe dorms are able to accommodate up to 12 adults and are not suitable for children.